Tell me where am I. All is normal but still she feels like she is lost without him in sight. She knows that he is somewhere near but she still needs an assurance. She wants him to come close to her; tell her that she will always be in his heart and they will be together forever and she will never again be LOST alone. P.S This is my first attempt at Haiku for the #RhymeIndia Haiku Contest by The Times Of India. It has been around eight months here back in Mumbai and Mumbai keeps you busy; so busy that I didn't even care to write more on the Kerala Diaries. A few weeks back, I was going through the notes in my phone and I found a note named Moonu. This note contained pointers to all the things that I wanted to include in the concluding part of my diaries. So, that got me started. 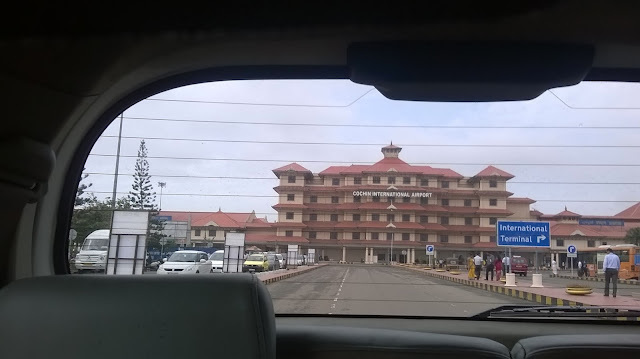 I can never get the picture of the Cochin International airport out of my mind – it’s vintage. I did not pay any attention to it at first. When I boarded my pre booked taxi to the hotel and the taxi was on its way out, I just happened to turn back and I saw this. Isn’t it retro? THE LAST DAYIt was dark outside. I could see only the dim lights in the makeshift houses lined along the railway tracks. I looked at my phone; the notification light was continuously blinking because the phone battery was down. Cold breeze flew in through the windows as the train ran past the stations. I was not in a hurry; I wished that the train kept running and never stopped. I wished the night would never end, just as I wished that we shouldn’t have broke up. I was going back home after the college farewell. 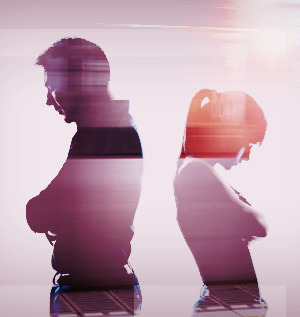 It was the last day in more than a way for me and I was filled with distress and anguish. I wanted to talk to her. Stations passed, people got down and the train stopped too but I did not want to go anywhere. I sat there numb and looked at my phone; the phone that she had gifted me. It was still blinking. It pleaded me to charge; it pleaded me to call her. I finally decided to call her once again. I pressed the unlock button. ‘Badlapur se Bajirao Mastani tak aur Tevar se Tamasha tak’, the hindi film industry delivered some amzing stories and some blockbusters as well. While the much hyped and the commercial giant Bombay Velvet flopped, small budget movies like NH10 and Badlapur made their mark. This year saw Suraj Barjatya coming back to Bollywood and bringing back Prem. Also Aishwarya Rai came back with Jazba. Let’s roll our eyes on the year 2015’s top ten movies that Bollywood gave us. Badlapur2015 started off with a bang for Varun Dhawan who smashed the box office and his chocolate boy image with his power packed performance as Raghu, in this movie. Add to that a character with negative shades, so naturally played by Nawazuddin Siddiqui. Radhika Apte makes 2015 work for herself with her genuine performances in Badlapur, Hunterr and Manjhi – The Mountain Man. The movie is hard hitting, gripping and its brilliant music score by Sachin-Jigar makes you fall in love with this movie.